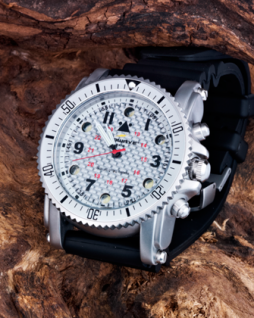 Our Tactical Led Watch, crafted in Spain, was designed and finished with superb quality, this dream watch for Military and hunters is a combination of innovations and highend technology, offers you high-calibre precision with the toughest materials and components, ruggedness against shocks, variations in temperatures, water and dust. Forged out of a solid block of nickel-free stainless steel, this watch is water resistant down to an incredible 100 metres (10ATM), certified by Barcelona’s Technological University in Spain. 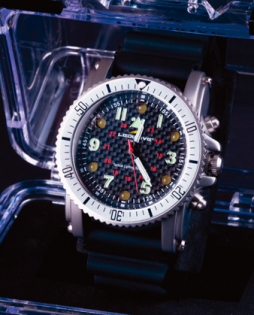 Aside from the extreme toughness of the case structure, we are proud to enhance this watch with the “Self Illumination” system in the hands, ensuring users can read time at anyday/anytime for 20 years in dark environments, without the restriction of illuminating time limit for most of the fluorescent hands in the market. 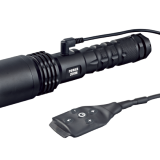 With the addition of a 6-LED intensity system that makes this watch an “indispensable” partner for military, law enforcement and professional users, the combination of six Japanese-chip super bright LEDs that offer an individual high-low intensity level of 60/25 lumens respectively. We also implanted an “S.O.S.” function for self safety alert. 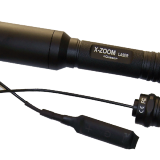 As a Military or Police officer, any bad or difficult situation can happen during any giving missions, same as outdoor and underwater activities, when something really bad happened, you can activate the “S.O.S.” blinking signal to expose your location, so your teammates or rescue crews can find and rescue you. 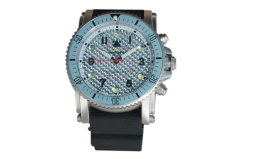 This is the only watch exists in the worldwide market that offers this special function and is capable to save your valuable life under desperate situations that no other watches could. Why jeopardize your life and your family’s fate, the smart SELECTION is here for you! 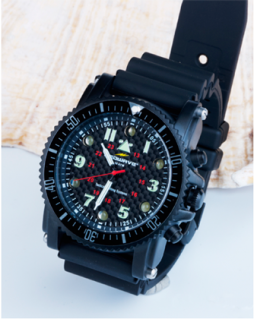 Your Tactical LED Watch is water-resistant up to 10ATM, offers full protection against snorkeling, swimming, showering, bathing or any other contact with water. 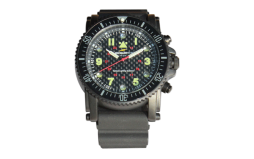 Do not allow your Tactical LED watch to come in contact with any chemicals. To ensure your watch to function properly for a long time, you should protect your watch from extreme temperatures and vibrations. For high-efficient water-resistency, please check all the seals and crystal periodically at a LEDWAVE authorized dealer. Also, we like to advise you to change the “Movement” and “LED Module” battery every 2 years and one year respectively. Tactical LED Watch is equipped with a powerful module driving y 6 Japan-made LEDs to illuminate your way as bright as a regular flashlight with an astornishing 60+ lumens output that will never let you down at any circumstances. With the additional S.O.S. function, it might save your life if any bad things happened during any missions or outdoor activities. The button above the “crown” offers a momentary-on 60+ lumens when pressed-to-activate, the button below the “crown” offers a a temporary-on 20+ lumens for 10 seconds when pressed-to-activate. To activate the S.O.S., press to push the “crown” button in. User can switch mode when one mode already in use, however, the S.O.S. will keep blinking until batteries drained out unless user switches mode. 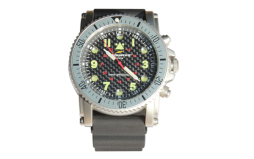 Tactical LED Watch is equipped with a pair of gaseous-tanked hands with self illumination imported from Switzerland for Military and professional purpose with an incredibly life-span of 20 years, users can read time in complete darkness any time any where. Any doubts have been resolved quickly and professionally. Any product with manufacturing defect has properly repaired and shipped within a resonable timeframe.